These are the new books I love. I’ve read every page—and lingered on each image. I’ve swooned, I’ve smiled, I’ve shed a little tear. I’ve gazed and been inspired. This week, I’m revealing my pick of four of the top new books. Next week I have another fabulous selection, so stay tuned. Each of these singular volumes covers, in depth, a specific fashion and style and design subject that is of passionate interest. These are books to keep, to study, to ponder and read. These four are superbly edited and full of delicious and rewarding details. They’re artful and thoughtful—and much more than just a pretty face. There’s depth, insight, and revelation. I know you’ll love them and want to add them to your library or give as gifts. 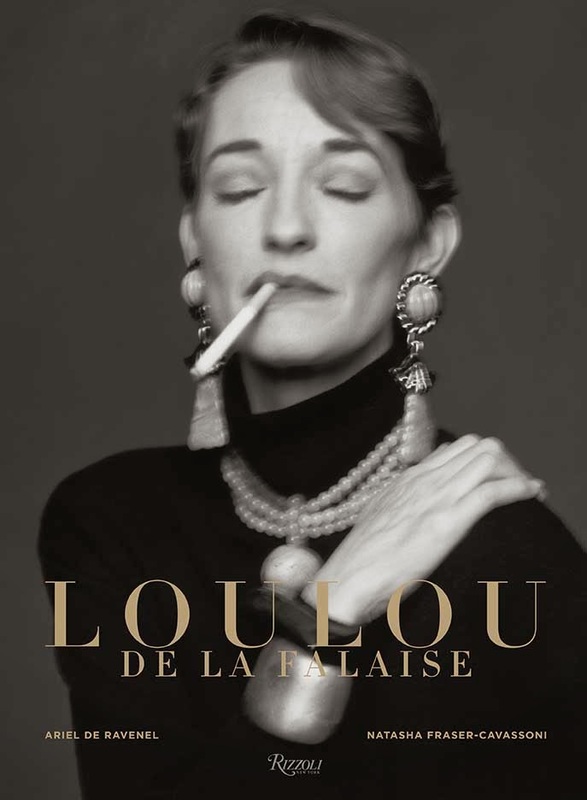 Loulou de la Falaise, by Ariel de Ravenel and Natasha Fraser-Cavassoni, with a foreword by Pierre Bergé (Rizzoli) is a love letter and fond adieu to Loulou de La Falaise (who died two years ago in Paris). It’s the inspired collaboration of her friends in the fashion world who include all the top Paris designers, writers, models, and artists and creatives. 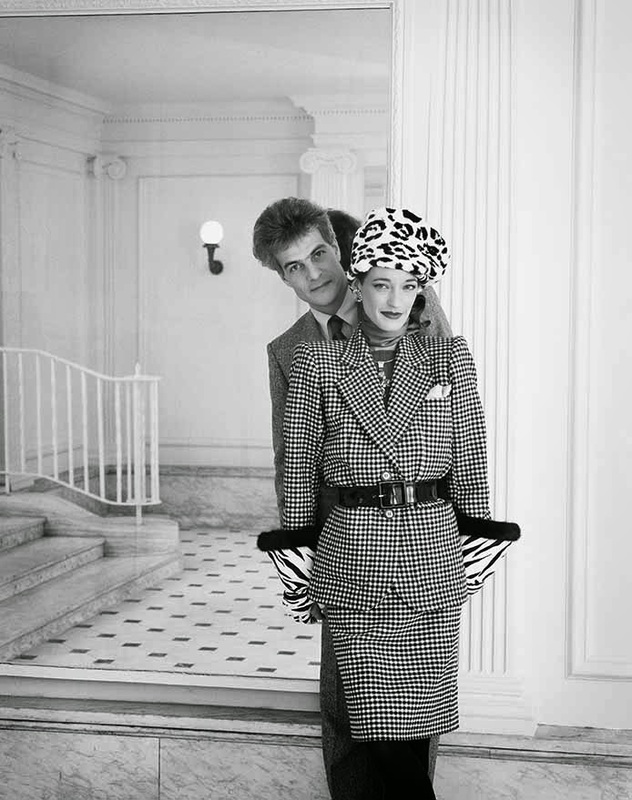 In quotes throughout the book, friends like Pierre Bergé and Madison Cox, and even her rather private daughter, Anna, and YSL colleagues speak of how much they loved her, how she enhanced their lives. 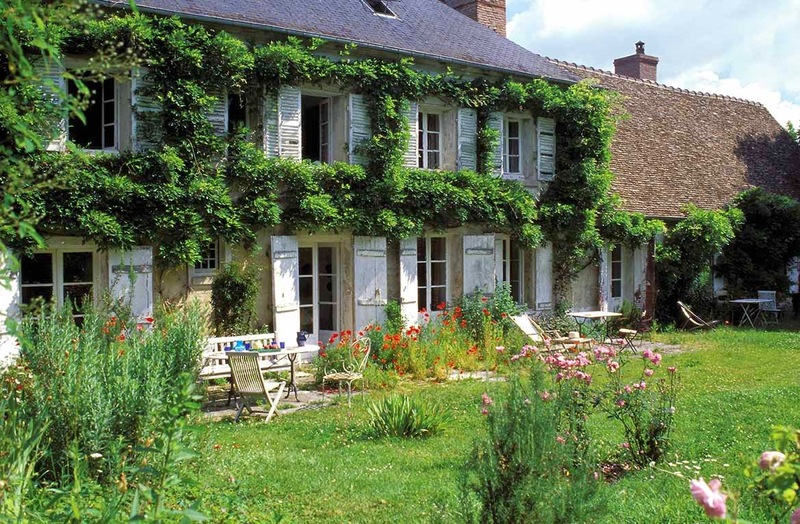 There’s also her English-style country house deep in the forests of France. 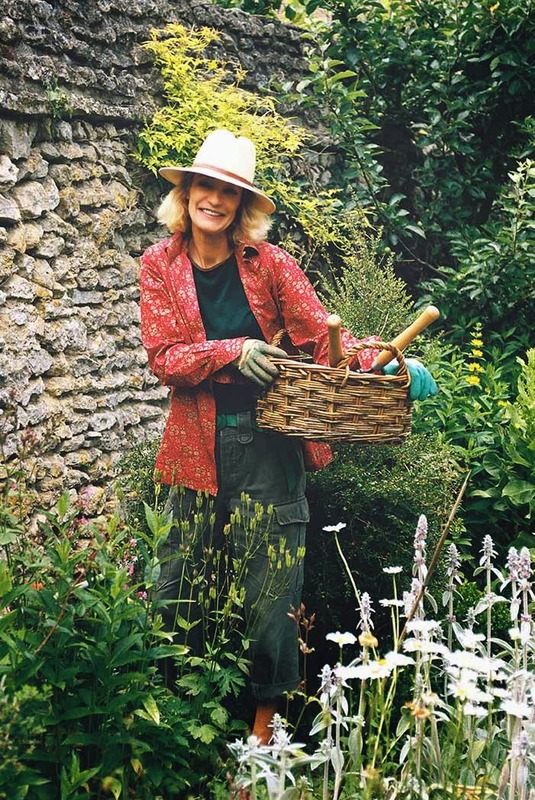 Loulou de la Falaise is 272 pages of style inspiration—for fashion, interiors, costume balls, country living, city dwelling, There’s even a sojourn to Montecalvello, the rustic castle north of Rome that belonged to her father in law, the painter Balthus. 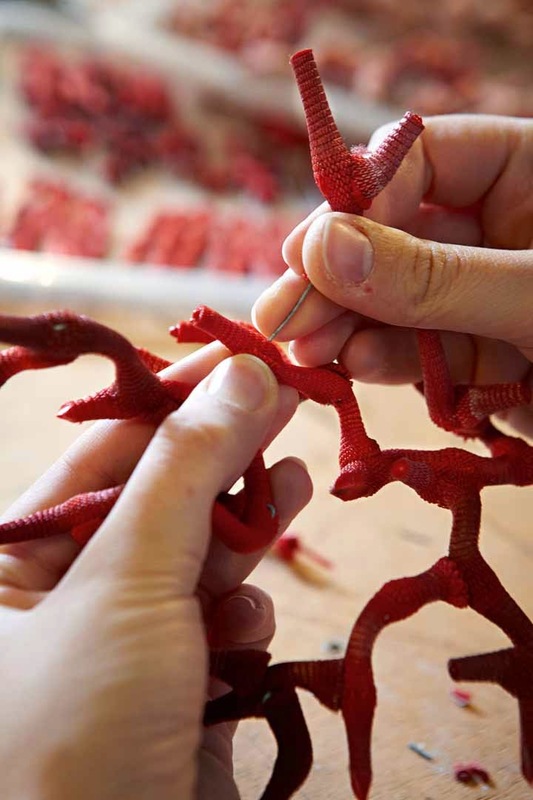 Riveting are the pages that poetically present Loulou’s jewelry designs. 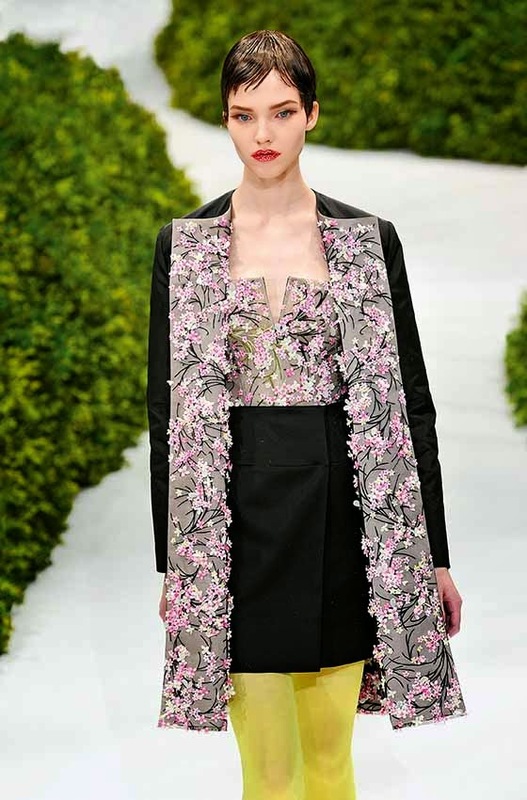 Butterflies, bugs, flowers, starfish, and Chinese motifs all sprang from her designing pen. The beautiful and colorful book is thoughtfully art-directed and edited. 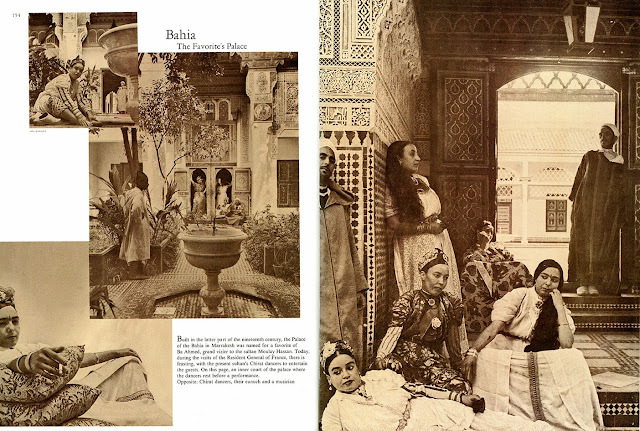 Virtuoso photography is by top photographers including Helmut Newton, Richard Avedon and Steven Meisel, and the book is peppered with holiday snapshots, Morocco images and behind the scenes atelier portrayals. Loulou and her coterie and of course YSL seem never to have made a move without a photographer nearby so she’s portrayed from teenage years to her final chic appearances. 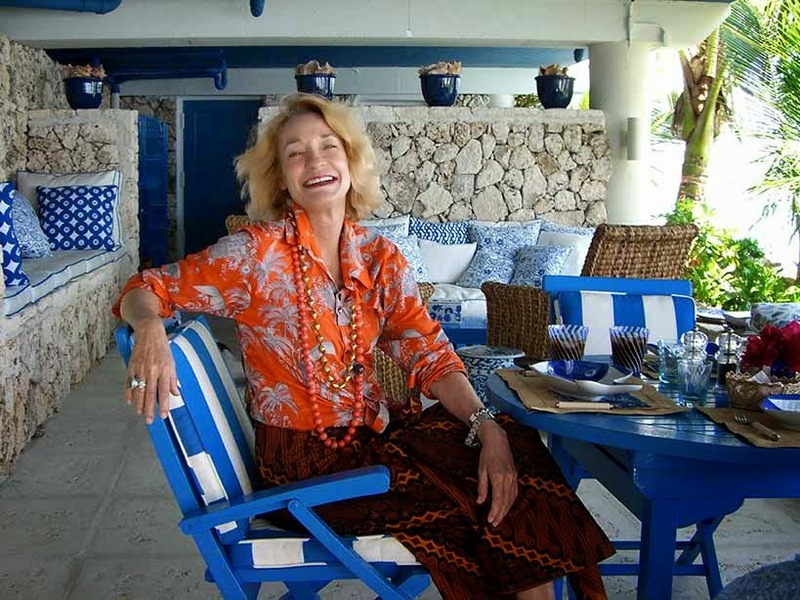 The authors (de Ravenel was a longtime pal and a partner in Loulou's jewelry enterprise) interviewed all the chic intimates: Betty Catroux, Christian Louboutin, Paloma Picasso, and Elsa Peretti. 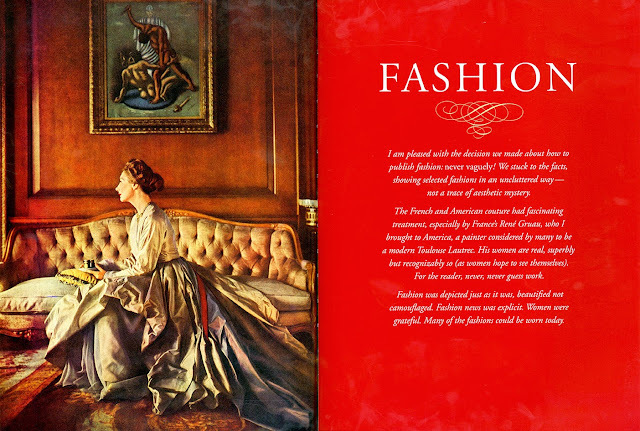 In particular, the book offers a treatise on how to look chic on any occasion, and how to wear jewelry and accessorize fashion. It’s a happy and poignant celebration of an elfin icon. 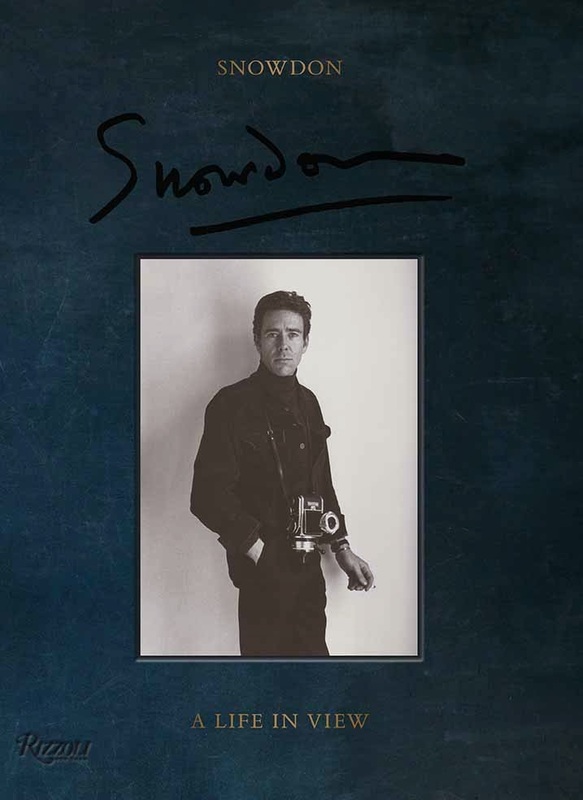 Snowdon, A Life in View, by Antony Armstrong Jones with a foreword by Graydon Carter and an introduction by Patrick Kinmonth (Rizzoli). Contributions by Grace Coddington, Tom Ford, Philippe Garner, Suzy Menkes, A.A. Gill, British Vogue editor in chief Alexandra Shulman, Nicolas Ghesquière, André Leon Talley and more offer a who's who of the style world of the last five decades. 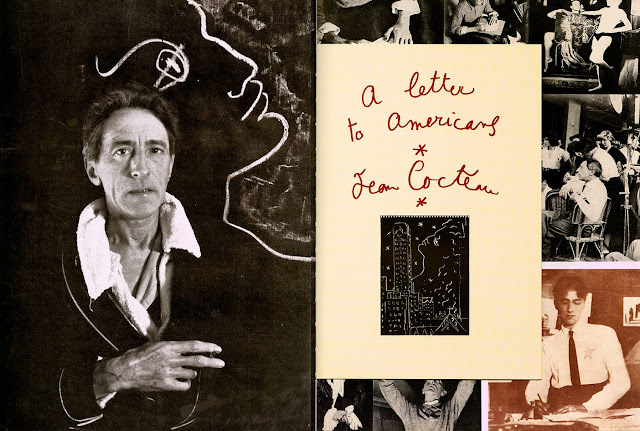 It was edited by his daughter Frances van Hoffsmanthal. The British Royal Family is handsomely represented, with baby pictures at Buckingham Palace and weddings, and even Princess Margaret sitting in a bathtub wearing a tiara — but Tony had his louche side, and it’s brilliantly on display. 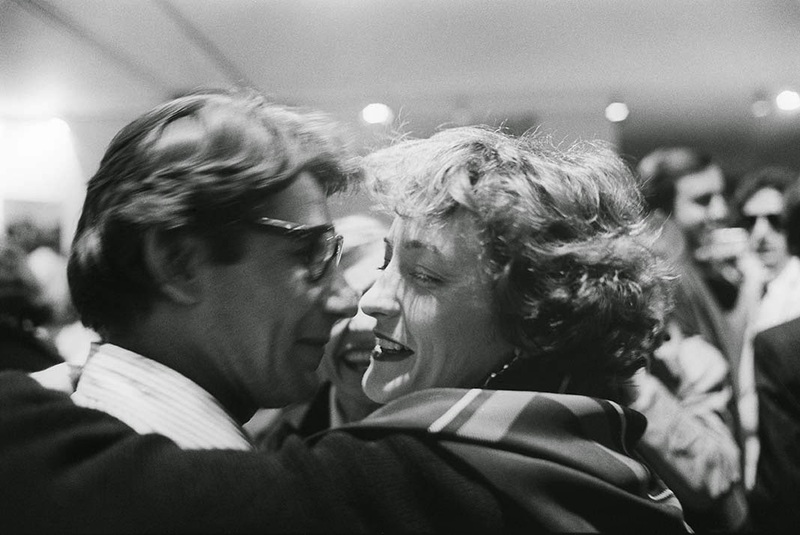 At the start of his photography career in the early 1950s Snowdon focused on theater, fashion, and society subjects, and began a six-decade career with British Vogue. 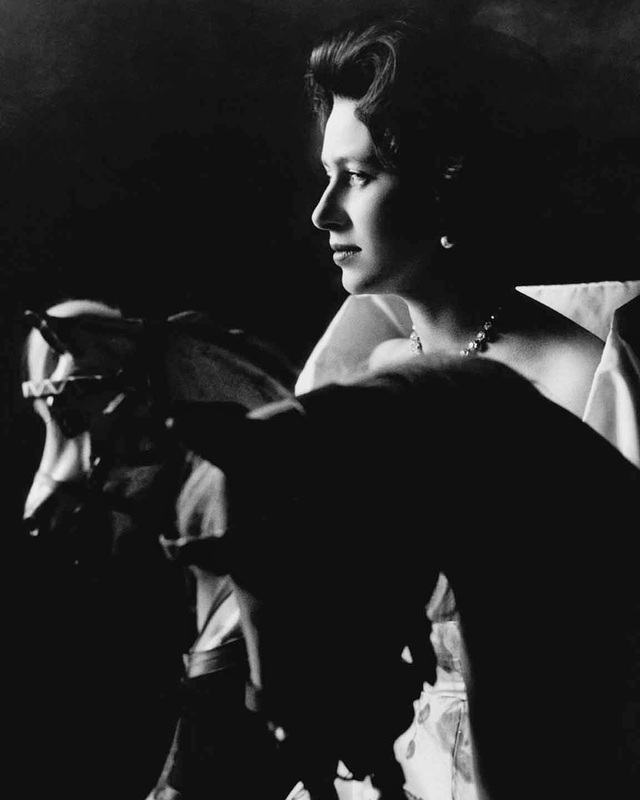 In 1960, he married Princess Margaret, the sister of Queen Elizabeth II, in the first globally televised Royal wedding. In the early 1960's Snowdon worked with the Sunday Times magazine on a range of documentary subjects from mental health to loneliness, and in 1965 Private View was published—an extensive and beautiful book on the London art scene which has now become a cult classic. He was versatile, a contrarian. 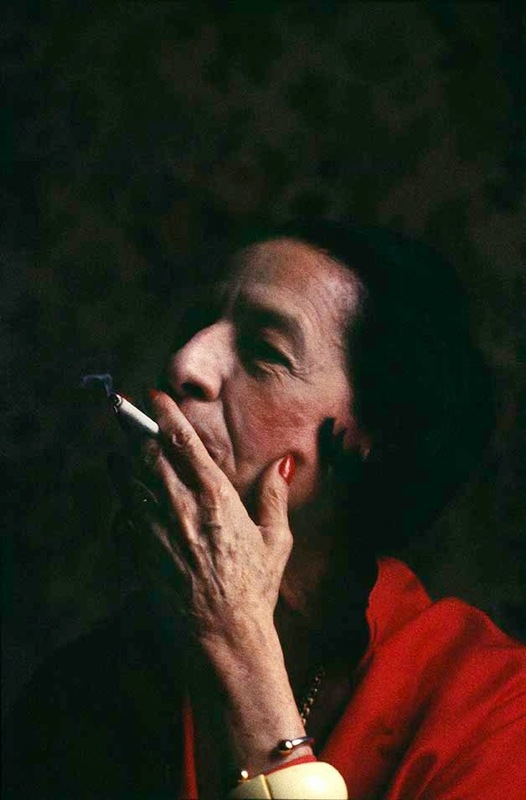 Over his prolific career Snowdon photographed a range of cultural figures like Cecil Beaton, Charlie Chaplin, David Bowie, Marlene Dietrich, Bridget Riley, David Hockney, Serge Gainsbourg, Yves Saint Laurent, and Jack Nicholson that are featured in the book, amongst letters from Diana Vreeland and other editors. In addition to iconic portraits, and legendary fashion images, archival material in the book includes previously unpublished Polaroids, private scrapbooks, and letters. 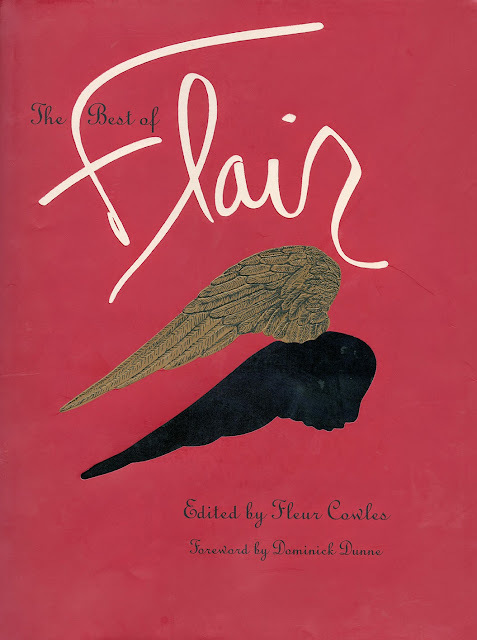 The Best of Flair, edited by Fleur Cowles, with a foreword by Dominic Dunn (Rizzoli). (Re-edition). 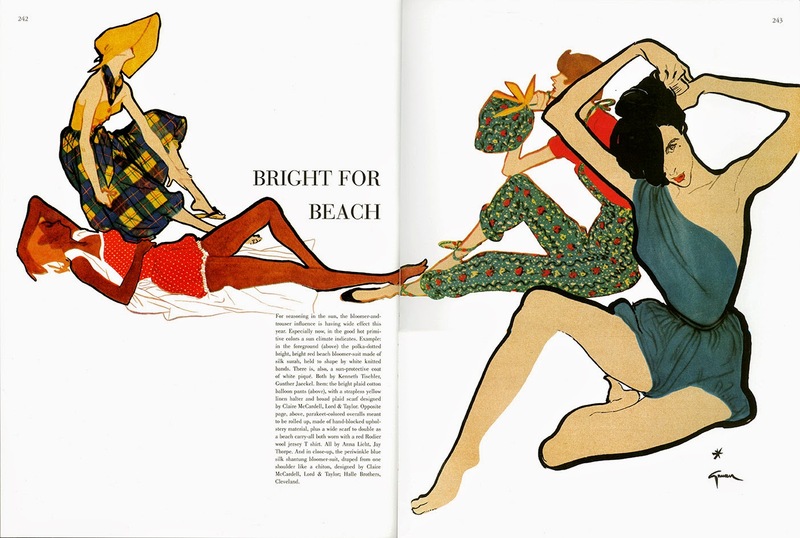 Fleur Cowles, artist and visionary, published Flair magazine in the fifties, and devotées covet and collect these precious few issues. I have about a dozen original copies of Flair in my library, and I consult and enjoy them often. The ideas on each page are original, to this day. They also portray a cultural decade, an insider look at writers and artists like Lucian Freud and Truman Capote who were emerging at that time. Fleur Cowles, like Diana Vreeland, was a style setter who loved to make statements. 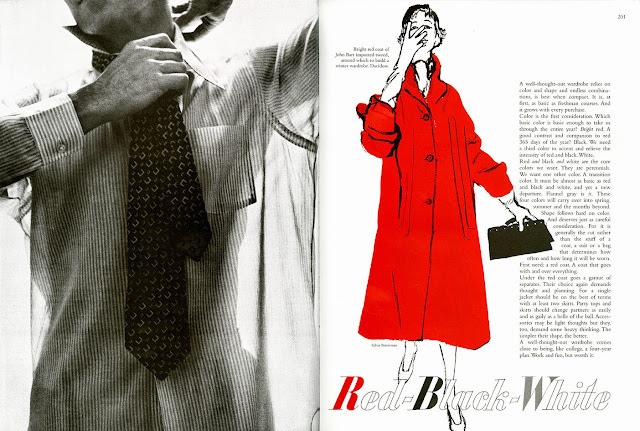 This quote is from the February 1950 issue: "Fashion is an eye. Every woman's eye. Your eye. And inevitably, fashion begins with the inner eye, with self-awareness, with understanding of all your powers, physical, mental, spiritual". Simone de Beauvoir, Walker Evans, James Michener, Ogden Nash, Gypsy Rose Lee, Clare Boothe Luce, George Bernard Shaw, John O’Hara, Margaret Mead, and Tennessee Williams. You might say it was everyone who was anyone. 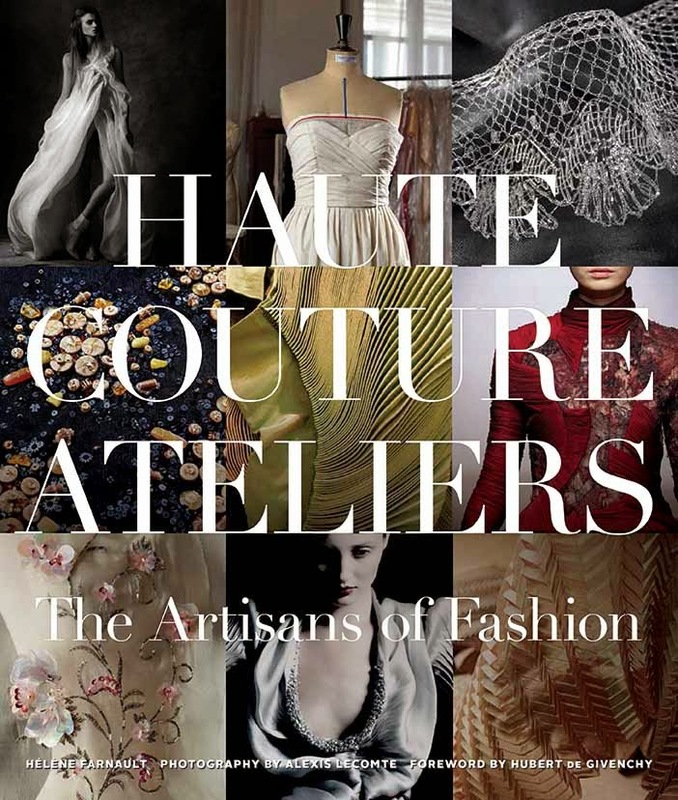 Haute Couture Ateliers The Artisans of Fashion, by Helene Farnault (Vendome) has a delightful foreword by Hubert de Givenchy. 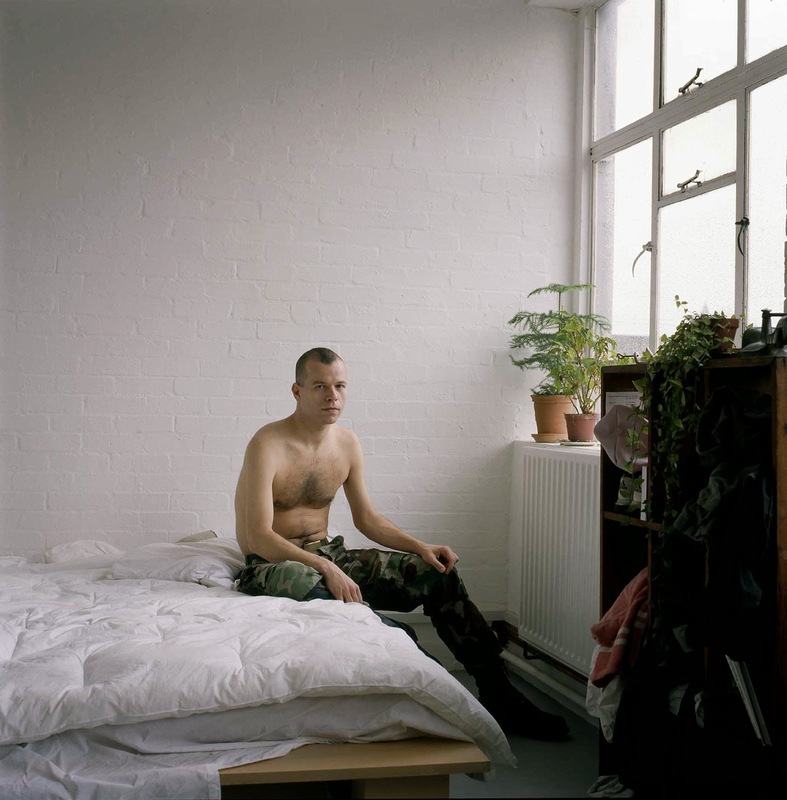 Photography by Alexis Lecomte. 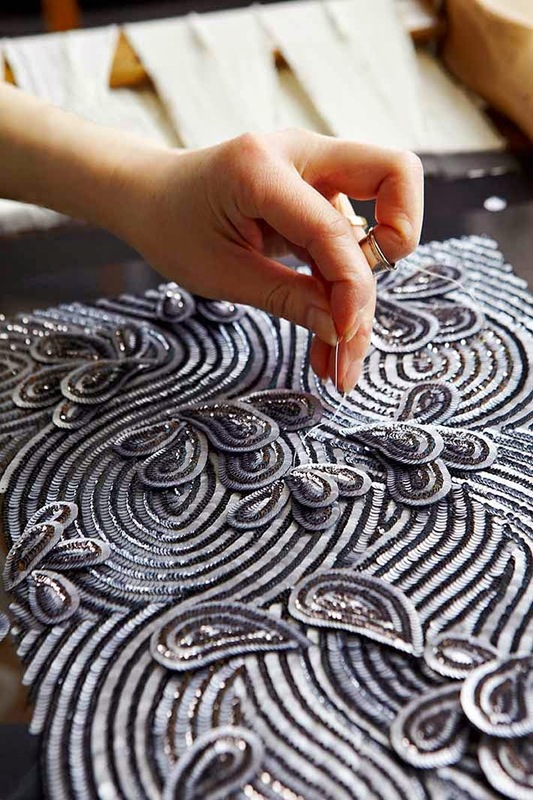 Anyone who has ever dreamed of commissioning a couture dress will be deliriously happy to go behind the scenes at great couture houses — from Chanel, Valentino, Dior, and Givenchy to Yves Saint Laurent, Balenciaga, and Jean Paul Gaultier — to discover skilled teams of artisans who turn fashion dreams into reality. Readers are taken on a very insider and privileged tour of couture’s backstage, inhabited by designers and their lace makers, weavers, textile designers, pleaters, jewelers, fan makers, leather makers, embroiderers, passementerie makers, feather workers, and many other specialized craftspeople. Costume jewelry as well as fans and perfume are all depicted, with many close-ups for better appreciation of he craftsmanship. 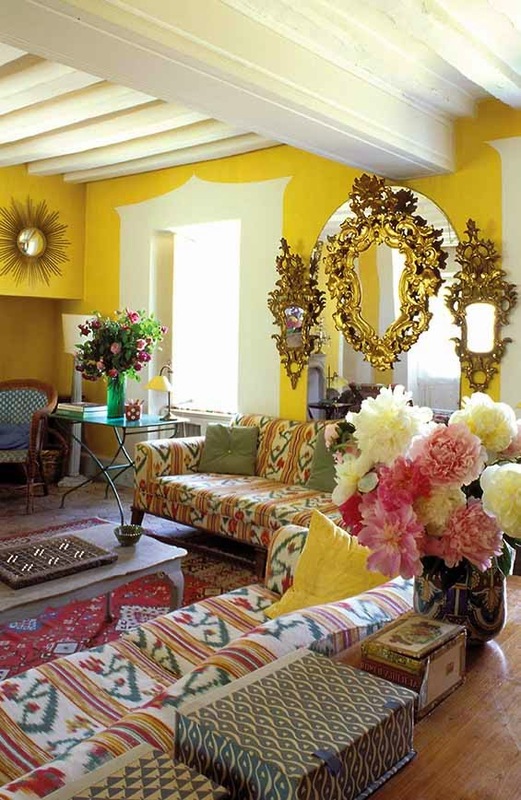 With attention to detail and exceptional workmanship, studios create every beautiful inspiration a designer can imagine. This is an unchanged world of small, family-owned workshops, and the trades these artisans practice are ancient; not only do they keep alive the techniques and expertise that might otherwise have disappeared forever but they also have evolved with the times. 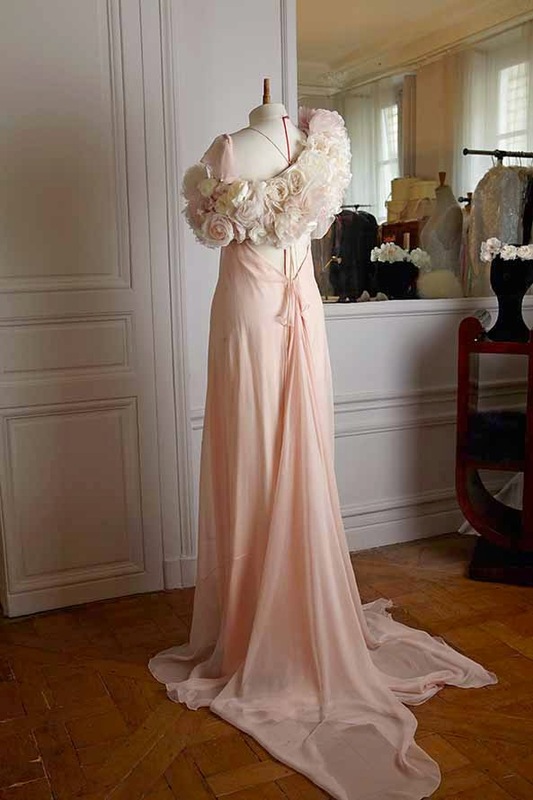 Hélène Farnault, France’s leading authority on haute couture crafts, elucidates the rarefied hierarchies and mysteries of these extraordinary artisans. Close-up photographs of the ateliers and fashion shows, specially commissioned for this volume, allow readers to follow the progress of work from sketchbook designs to the finished creations on the runway. 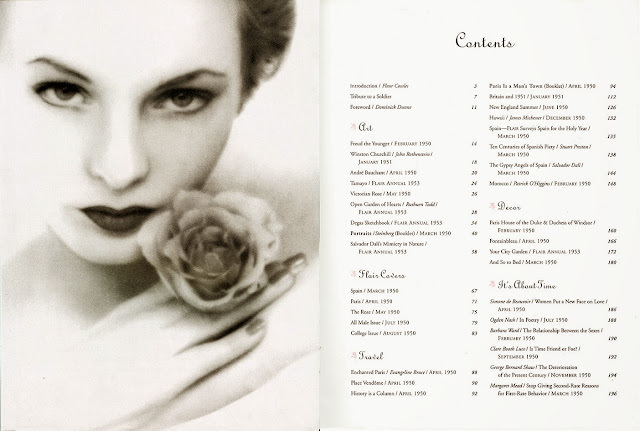 Images provided by Rizzoli and Vendome Press are used here with express permission. I can't wait to order the Loulou De La Falaise book. 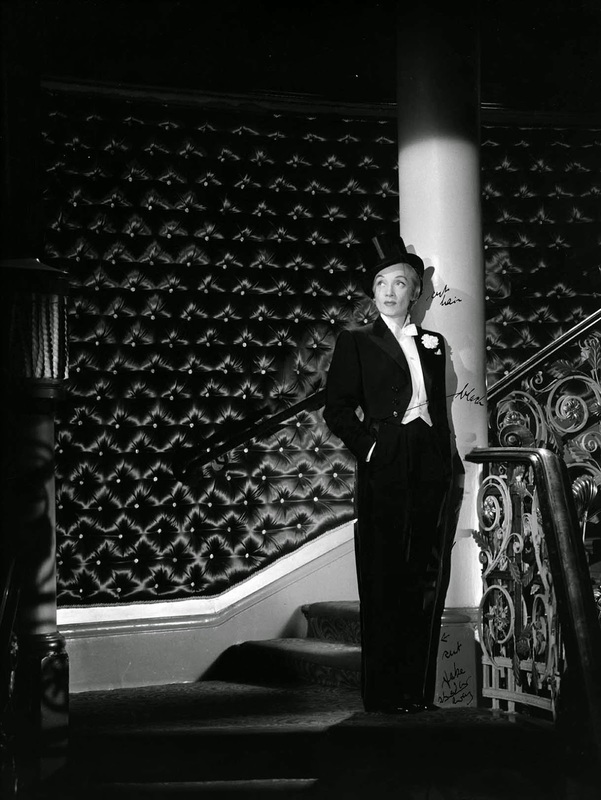 She has been such an inspiration to me over the years: her style, her class, her independence and her…je ne said quoi. A great life. Excellent selections Diane. 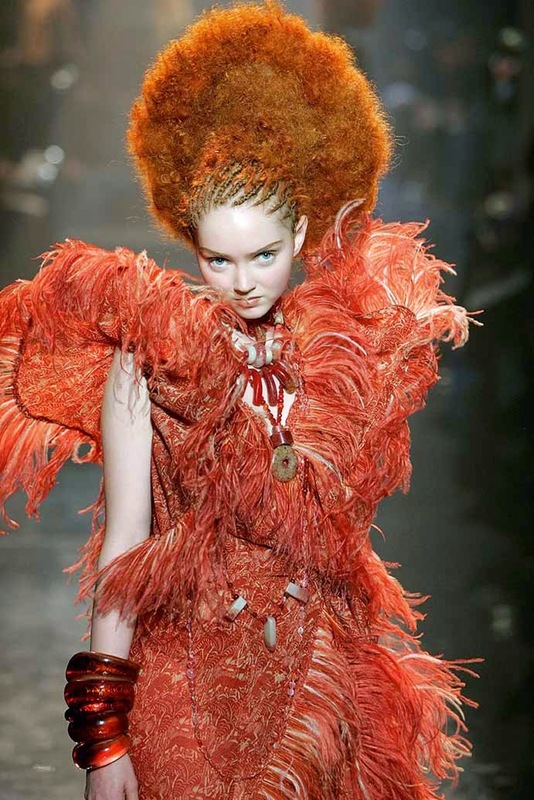 Haute Couture Ateliers is one that I go back to time and time again for inspiration! Well, I own and have READ the first book on your list and TOTALLY AGREE with YOU!I will add the others soon..............thanks for the review!